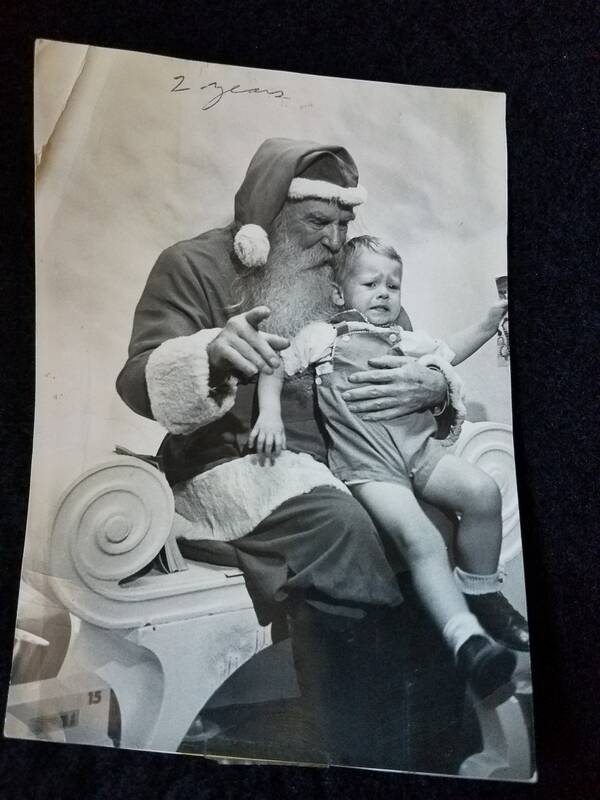 I just love this picture taken in 1947 of a 2 year old boy who is not to thrilled about sitting on Santa's lap! 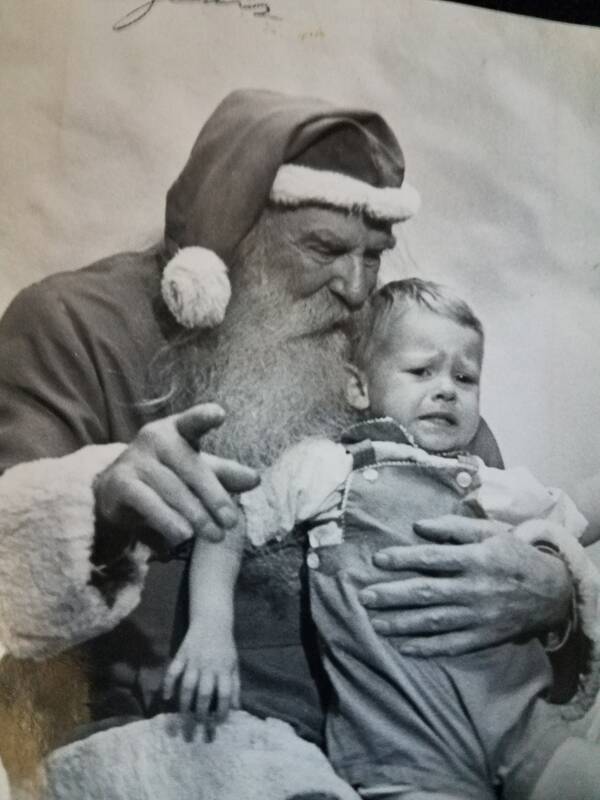 The Santa looks so authentic and is doing his best to calm the boy to get a picture. 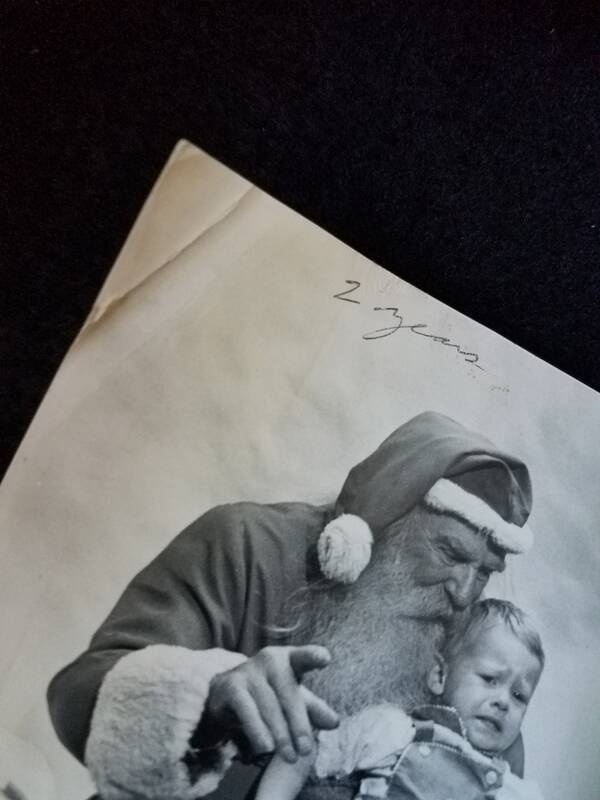 It is a 5 x 7 B & W and has a couple of dog ears, but I think it would look so cute framed with a grouping of crying Santa pictures! 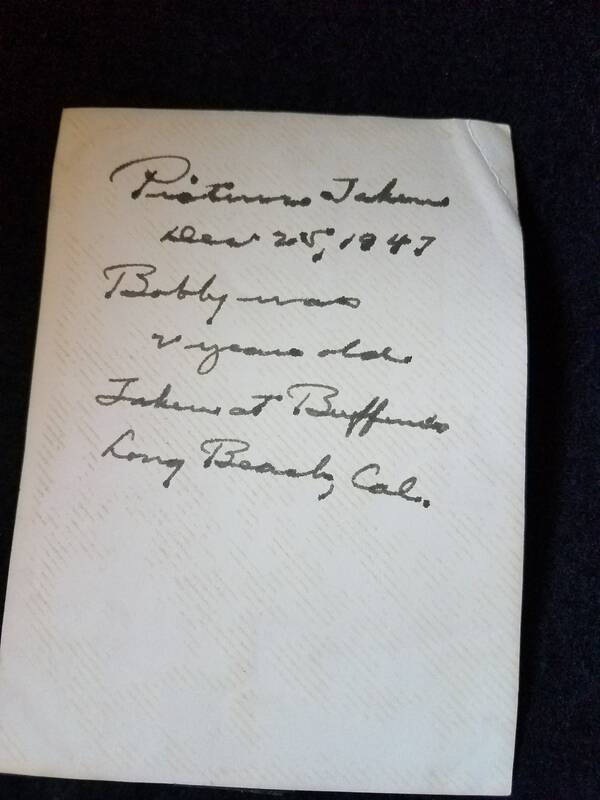 The back says picture taken Dec 25, 1947. Bobby was 2 years old, taken at Bu(-unreadable) Long Beach, Cal.